Before going to see our new patient, we must be credentialed for elevator access to the pediatric floor. Upon arriving to the ward entrance, we show identification and state which patient we’ve come to evaluate. While standing in front of her hospital room door, we scrutinize the posted safety precautions, wash our hands, and don gowns, gloves, and masks. All these preparations are institutional requirements to ensure the utmost safety for our pediatric patients. We recognize the fragility of our young patients and want to provide our absolute best care for them. The responsibility for treating patients with cancer is tremendous, and it often feels even greater when caring for pediatric patients. The emotional toll on oncologists can be larger, as well. It’s distressing to see young patients sitting in the hospital instead of enjoying holidays with their family at home. How can an oncologist prepare themselves for the inevitable heartache of treating suffering people, especially children? When the sadness of a situation is so glaringly apparent, it’s best to first focus on the positives. In your mind, look for a silver lining. Perhaps there’s still a chance for cure, even if remote. Maybe there is a symptom or concern you can palliate. Even in situations where a cure appears unattainable, there is a reason why your patient is coming to see you. There is care you can provide, whether you are answering questions, providing clarity, or listening attentively. If you can’t find any concrete clinical problem you can help solve, do your best to treat your patient with respect. While this may sound like obvious advice, it’s vital to recognize how important your posture is. If you are overwhelmed with sadness about your patient’s situation, you may have a harder time smiling and speaking kindly. It’s essential to remind yourself regularly: “I did not give this patient cancer.” Negative outcomes occur daily everywhere on earth, in both medicine and in the broader world. This perspective is important in grounding your thoughts towards the overall reality of life instead of only focusing on the current situation, which is most likely a very rare occurrence. A patient with cancer has many needs, including treatment, therapies, supportive care, and logistical concerns. Take the time to plan how best you can help, and what roles other professionals in your environment can play. In this way, you will avoid getting overwhelmed by all the difficulties your patient is facing. In addition, you will be more able to accomplish your goal when you clarify what problems you can tackle. Emotions take a toll on your overall well-being—take the time to rest and reflect. For example, perhaps you had a light clinic day with fewer patients scheduled than normal; however, one of the consultations was particularly heartbreaking. Recognize your sadness and allow yourself to take a break and recover. If you have time during your work day, take time to listen to music or sit and enjoy a cup of tea. When you get home, spend time doing things you enjoy, whether cooking or watching TV. Often, it helps to discuss the case with colleagues who also care for that patient; they may have insight to clarify the situation and may have suggestions how to restructure your thinking. Treating patients with cancer is a privilege. Patients share their illnesses and their lives with us and we must be grateful for their trust. Recognize the important role you play in their lives and the kindness you have the opportunity to impart. Spend time reflecting on your own life, family, and friends; have you had the blessing of health and wellbeing? Use these encounters to cultivate gratitude and happiness for whatever good fortune you find in your surroundings. Cancer shows us how fragile and unpredictable life can be. Preparing oneself to adequately deal with emotional circumstances ensures that we can continue performing our responsibilities in the optimal fashion. In this way, we will achieve more cures and reduce our often unsung heartache. 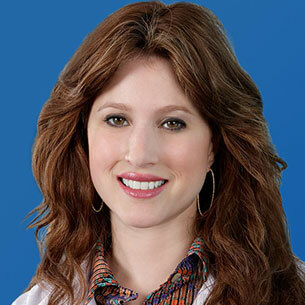 Dr. Wolden is a radiation oncologist at Memorial Sloan Kettering Cancer Center in New York. She is an expert on pediatric and young adult cancers and overseas large international studies for Children’s Oncology Group. Her interests include intraoperative radiation, proton therapy, and long-term side effects.